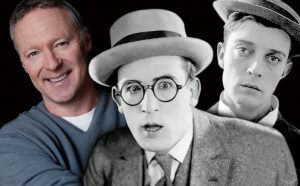 Bristol’s stand-out annual comedy celebration returns for a lucky thirteenth edition – a unique celebration of the best onscreen classic silent comedy, live music and guest appearances by living legends of British comedy. The host for this year’s Gala Show is the incomparable impressionist and comedian, Rory Bremner. As usual, the national comedy treasures of our own time come together in Bristol to pay tribute to the legendary comedians of the past. Harold Lloyd’s The Freshman (1925) will be shown in full, accompanied by the famous score composed by Carl Davis, with the 25-piece Bristol Ensemble conducted by Guenter A Buchwald. The Finishing Touch (1928) starring Laurel & Hardy will also be shown as well as The High Sign (1921), which will be accompanied by The European Silent Screen Virtuosi. Slapstick’s Gala writes the Bristol Post, is “a Bristol Institution”. Book early to be sure you are a part of it.